House is an exhibition of new and older work by Icelandic artist Hreinn Friðfinnsson. The photographic series House Project, Second House andThird House are exhibited here together for the first time. 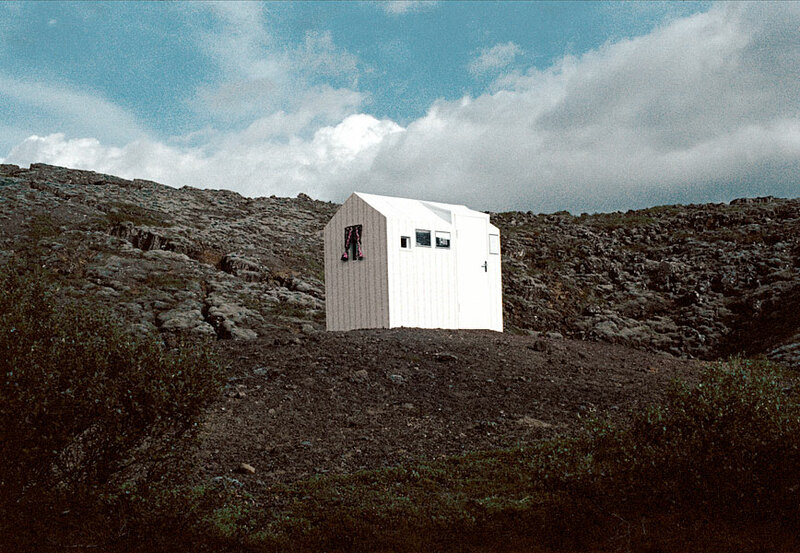 The idea for the work House Project was inspired by the character Sólon Guðmundsson in Þórbergur Þórðarson’s Icelandic Aristocracy (Íslenskur aðall) : Sólon built his house inside out. In 1974 such a house was constructed by the Friðfinnsson in a lava field south of Hafnarfjörður. That which usually stays hidden and closed constituted the external part of the house; the part which normally faces the outside world was turned inwards and closed off. The artist then photographed the house and after that left it unattended. Later on, Friðfinnsson constructed another version of the house, erected in a sculpture park in France in 2008. That house reversed the original house, so that the external part once again faced the world, while the world itself was encapsulated inside. Inside the house in France a meteor hovers in the air as a kind of a representative of the universe, and on the meteor sits a model of the original house, made of thin metal wires. The shadow of the house exists inside its own mirrored image, like a delicate drawing or a fragile dream. Now, this miniature copy of the first house has been enlarged to its full scale and placed on the same spot as House Projectoriginally stood. In the exhibition House the mirroring images all converge, including within themselves the entire universe, yet at the same time shutting it out – or keeping it in.